A witness told Fort Myers Police they heard gunshots and found a black male with gunshot wounds on the floor of an adjacent unit. 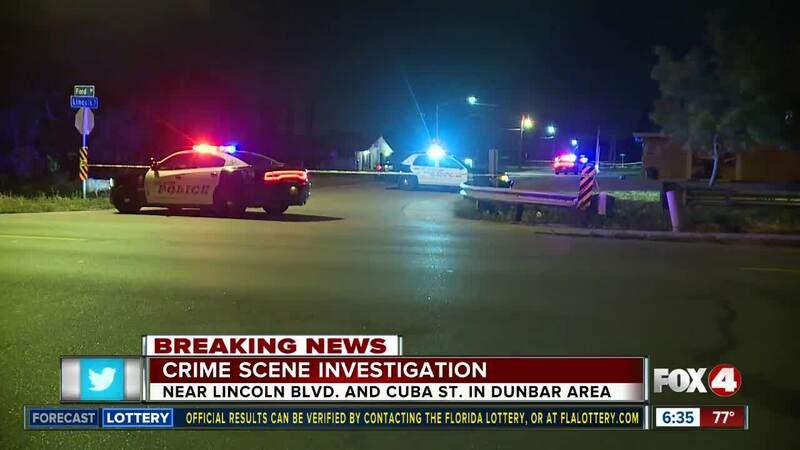 UPDATE (3:45 PM) -- Police have identified the fatal shooting victim on Cuba Street early Tuesday as 27-year-old Aaron Lumar Johnson of Cape Coral. The Fort Myers Police Department is seeking information from anyone who may have information regarding this crime and asking them to contact Detective Maalisa Langton at (239) 321-8015 or email mlangton@fmpolice.com . 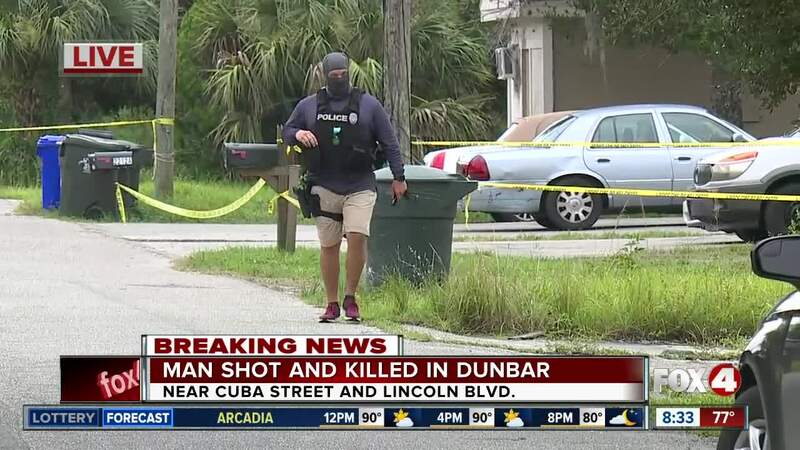 UPDATE (8:25 AM) -- Police now say they are investigating a homicide after a man was found shot dead in a Dunbar apartment. It happened in the 2200 block of Cuba Street, around 3:16 AM. Just one week ago, another man was shot and injured just around the corner. Anyone who may have information regarding this crime is asked to contact Detective Maalisa Langton at (239) 321-8015 or email mlangton@fmpolice.com . Citizens can also contact Crime Stoppers at 1-800-780-TIPS (8477). All callers can remain anonymous and be eligible for a reward of up to $3,000. UPDATE (6:30 AM) -- Fort Myers Police have confirmed with Fox 4 that there is one dead person at this scene. More updates to come. 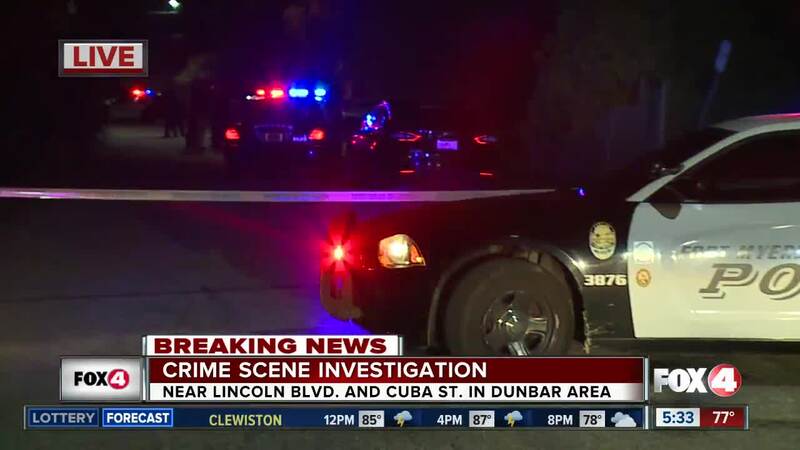 FORT MYERS, Fla.-- There is a large ongoing crime scene investigation in the Dunbar community. Fort Myers Police are on scene near Franklin Park School at an active investigation. The call came into dispatchers around 3:30 a.m.
Police have blocked off Cuba St. in Fort Myers. Lincoln Blvd. was also blocked off when Fox 4 crews arrived on scene, but has since been reopened. It is a dead-end street south of Martin Luther King Jr. Blvd. Lee County Domestic Animal Service was called to the scene. We will bring you more information on this crime scene investigation as we receive updates.